You might be familiar or even heard of the term “smart city” in recent years. There might be various definitions of smart city but in a nutshell, a “smart city” is a new urbanisation concept seeking to use information from various sources and information and communication technology (ICT) solutions to better manage a city’s assets and boost the efficiency of resident services to improve the overall quality of live, work and play for residents. Smart city planning and implementation can be carried out at the city level, a designated brownfield site or a zoned greenfield site covering various key aspects. These include, but not limited to, government and citizen, energy and waste, building and infrastructure, mobility/ transportation, healthcare, education and tourism. In People’s Republic of China (PRC), the Chinese central government and officials are betting on “smart city” implementations at provincial and city level to address issues, such as traffic congestion, pollution, and population growth. It is estimated that the global market for smart cities implementation will hit US$1.5tr by 2020. 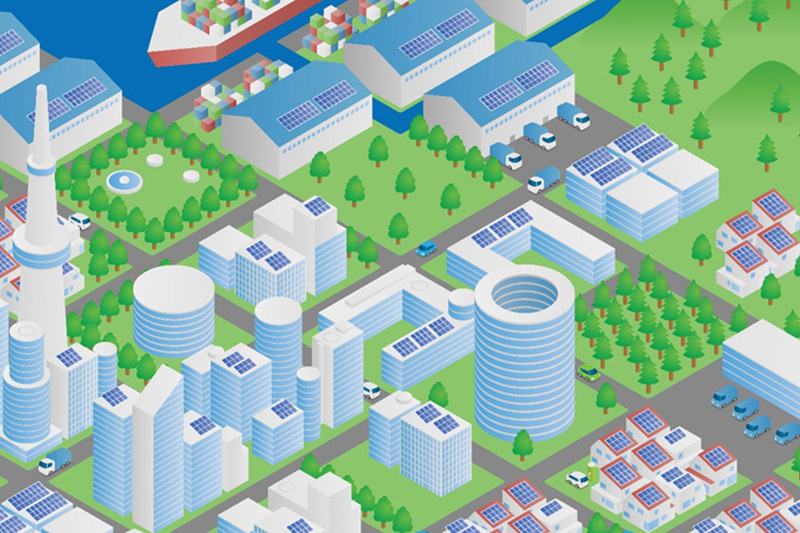 Similar to “smart city”, the term “smart port” is also getting a lot of attention recently. So what exactly is “smart port”? Before we even start to define what a “smart port” really is, let’s take a look at how ports around the world are embracing the arrival of “smart port”. In Europe, Hamburg, a major port city in northern Germany started an initiative, “smartPORT”, aimed at developing the Port of Hamburg (HPA) to become a “smart port” over the next years. For the Port of Hamburg, “smart” means the sharing of information to improve the quality and efficiency of the port as a key node in the whole supply chain. By focusing on two main areas – smartPORT logistics and smartPORT energy, HPA aims to deploy solutions to improve traffic and trade flow; and reduce energy consumption in the port to enjoy cost savings. One of the world business transhipment ports is located in Singapore. The Maritime Port Authority (MPA) unveiled its smart port initiatives in early 2015. The new initiatives look at using mobile technology coupled with wireless connectivity to enhance the overall communications, productivity and maritime crew welfare in the Port of Singapore. Leveraging on the revolution in ICT, such as smart devices, sensors and Internet of Things (IoT), MPA envisions the Port of Singapore to be a more interconnected port with high-speed network, innovative use of data analytics and mobile solutions to enhance its overall competitiveness that will benefit all users and customers. In PRC, together with the rise in popularity of “smart city”, the term “smart port” has also garnered a lot of attention in the last few years with Chinese officials and port cities. “Smart city” and “smart port” consultancy and master planning for various Chinese cities and China’s One Belt, One Road (OBOR) initiative launched in 2013 has highlighted the importance of smart port and logistics for the country in the next few years. In 2014, Xiamen (a city on China’s southeast coast) announced that the first fully automated container terminal – the YuanHai Container Terminal (also known as Xiamen Ocean Gate Terminal – XOCT) in the Haicang Free Trade area to go on trial at the end of 2014. In 2015, XOCT announced that its first automated berth is ready for commercial operation and has began trial operations with a fully automated yard system. What are the contributing factors that makes a port “smart”? Is it a fully automated port deployed with Automated Guided Vehicle (AGV), Automated Rubber Tired Gantry (ARTG) Crane or Remote Yard Crane a “smart port” in the case of XOCT? Does having smart grid or smart logistics make a port smart in the case of HPA? Or it is through the innovative use of mobile technology coupled with wireless connectivity, data analytics, and IoT truly makes a port smarter in the case of Singapore? “Smart port”can be broadly defined as a brand new port development concept that aims to use the revolution in ICT, including, but not limited to, data analytics, sensors, smart devices, networks to improve the port’s overall operations and increase recurring revenue; while at the same time, lowering cost of operation and reducing impact to the environment. The ideal smart port is when the it is operating in a predictive state (predictability) that is well connected with its users, including stakeholders of the whole value chain (connectivity) and continuing to use technology and data to improve the running of the port (sustainability). As growth in trade continues to remain sluggish due to uncertainties in global demand, coupled with declining freight rates, the “smart port” concept is the way to go. While ports in developed and developing countries continue to invest and transform themselves into a “smart port”, ports in underdeveloped countries should look at tapping on aids from international organisations, international/regional development banks and even solutions providers to transform themselves into a “smart port”. The improvement in service level and cost reduction as a result of “smart port” implementation for the port operator will directly, and indirectly translate into benefits to the users of the port. Stakeholders in the global logistics and supply chain, such as shippers, freight forwarders, truckers, logistics service providers and carriers, will need to keep a close watch on the “smart port” effect and start thinking how they can leverage on the benefits to enhance their businesses and operations. Jeffrey Tan is Senior Product Manager of Global eTrade Services (GeTS) – a subsidiary of CrimsonLogic, a company with more than 28 years of experience and ‘know-how’ in trade facilitation; geographical footprint spans across Americas, Middle East, Africa and Asia.